In 2017, PTACs served over 48,000 clients and helped them win over $20 billion in government contracts and subcontracts. That’s a return on investment (ROI) of $571 for every $1 in federal spending! Rudinec & Associates was established in 1975 as a commercial photography studio and has expanded over the years to . include photographic lab services, tradeshow display, digital capture, digital printing and the development of websites with RequestAPrint services for museums seeking an economical way to provide fine art reproductions. They approached the Mahoning Valley PTAC (Youngstown, Ohio) for help breaking into the federal marketplace. The MV PTAC has assisted them with registrations and an effective capability statement; they have attended many PTAC events and taken advantage of one-on-one counseling for researching their target federal market. Recently they were approached by the U.S. Navy and asked to provide a bid for digitizing services. Their first call was to the MV PTAC , which guided them through the process of developing their bid. The result? 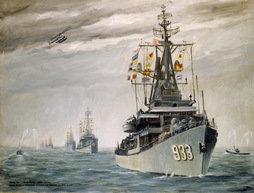 They were awarded the contract to digitize the Navy’s fine art collection! The PTAC also helped with packaging and shipping issues and walked them through the unfamiliar iRAPT process so they could get paid quickly. Peter Harsch Prosthetics (PHP) is a family-run prosthetic clinic in San Diego, California with a focus on fitting active amputees with high-performance artificial limbs. They came to the San Diego Contracting Opportunities Center (SDCOC) in November 2012 for help pursuing contracting opportunities with the US Department of Veterans Affairs (VA). The PTAC provided assistance on registrations, certifications, and government marketing strategies. After successfully landing numerous individual purchase orders with the VA, PHP decided to compete for a much larger, Indefinite Delivery Indefinite Quantity (IDIQ) multiple award contract. SDCOC staff Ken Adam and Trisha Ferrand assisted the company in putting together the proposal and pricing for the opportunity. The proposal was a success; they were recently (early 2016) notified they are one of three successful San Diego based companies awarded the VA’s $14,000,000 (IDIQ) contract for prostheses. This new VA contract will streamline the purchasing process, making it much easier for these wounded warriors and high performance athletes to get back on track and back into the race. 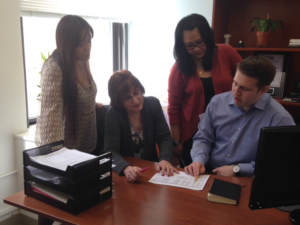 In 2013, QED National – a Women-Owned Business Enterprise that provides professional IT Consulting, Solutions and Staffing Services – met with LaGuardia Community College Procurement Technical Assistance Center (PTAC) to get assistance in obtaining GSA’s Schedule 70 for IT Consulting Services. The PTAC staff provided expert guidance and was continually accessible either in person or via the phone to answer questions related to the schedule, including a review of QED National’s response prior to final submission to GSA. As a schedule-holder, QED National has access to opportunities with local municipalities as well as with the Federal government. The schedule has helped the company identify opportunities with NYC agencies, leading to contract awards from agencies such as the NYC Human Resources Administration. 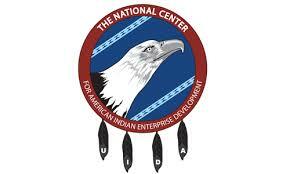 In 2014, QED National conducted 1.4 million dollars in business through the GSA Schedule. Recently, PTAC assisted QED National in applying for a modification to their GSA Schedule 70, which will add select data center and cyber security products. 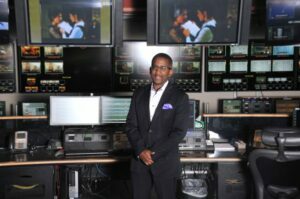 SeluRoN Technical Furniture (DBA STF Consoles) is a newly formed minority-owned technical furniture company providing ergonomically precise consoles, monitor walls, and workstation solutions. Staff have over 40 years of technical experience in the industry, and owner Walter Oden has extensive public and private sector project experience. LaGuardia Community College PTAC counselor Lauren Linakis helped analyze STF’s fitness for a GSA schedule, reviewed their website and set them up for automatic bid-match. STFConsoles.com website, registered STF Consoles Inc in her data base, and added the requisites codes required to have automatically generated bids forwarded to the owner’s attention. Although initially disheartened after a few months of unsuccessful bids, the firm was recently awarded a Blanket Purchase Agreement with the National Parks Service for its newly introduced product, The Winston Sit-To-Stand Workstation. This contract can be renewed for up to 3 years and can generate $500,000 in revenue. 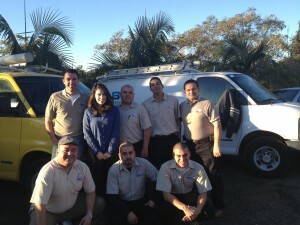 The team is very pleased with PTAC’s support! W.H.Kassner is a third generation miscellaneous subcontracting company, specializing in custom ornamental architectural ironwork. 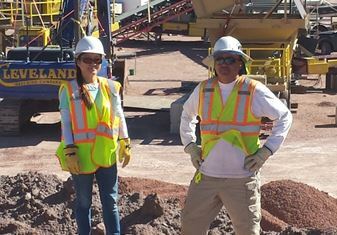 When twins Ellie and Dirk Kassner purchased the company from their father and uncle in 2013, they came to the REDC PTAC to learn all they could about government contracting. With Ellie as President, the PTAC helped them secure WBE and DBE certifications. The Kassner’s attended all of the PTACs seminars and took advantage of one-on-one counseling to develop and deploy an effective Capability Statement. The result? On February 5, 2016, W.H. Kassner was awarded a $300,000 contract as part of the new Tappan Zee Bridge project – and their first celebratory call was to the PTAC! Hydra-Tech Pumps is a veteran owned small business operating in Nesquehoning, PA since 1977. The company pioneered the development of Hydraulic Drive Submersible Pumps, and continues to develop new products designed to cover the widest range of applications in the construction, municipal, petro-chemical, mining, utilities, and marine industries. The firm first came to the Northeast Pennsylvania (NEPA) Alliance PTAC in 2008. Since then, the PTAC has: helped them with various online registrations such as System for Award Management and Pennsylvania Supplier Portal; set up a Bidmatch profile and helped review FedBizOpps solicitation notices; supported the development of a company Capability Statement; and assisted on an ongoing basis to ensure that changes to NAICS Codes and updates to keywords are kept current. 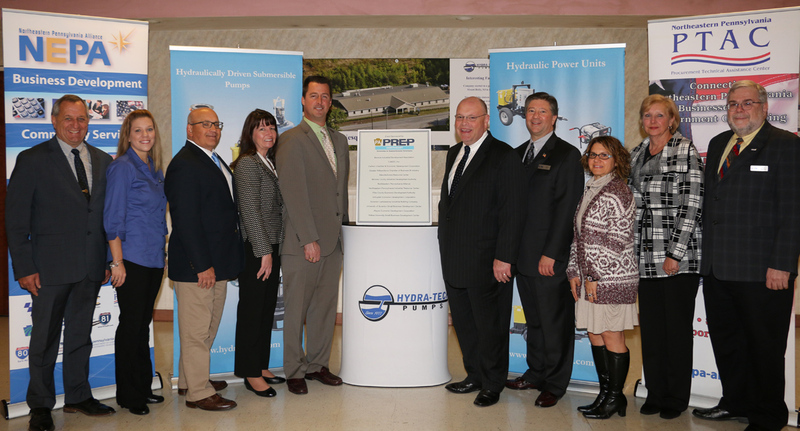 Hyrda-Tech Pumps has been an active client, participating in PTAC workshops, seminars, and even exhibiting at the annual NEPA Alliance PTAC Government Contracting Showcase. As a result, over the years, the firm has been awarded a number of government contracts with various federal agencies, including the U.S. Navy. 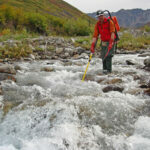 But their biggest challenge has been securing a General Services Administration (GSA) Schedule contract to allow government agencies to buy directly from Hydra-Tech Pumps rather than requiring them to compete under individual solicitations every time. 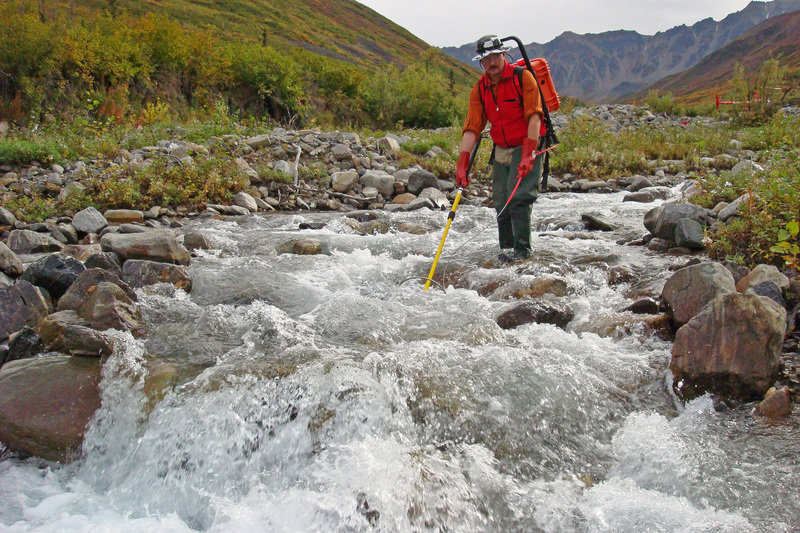 The NEPA Alliance PTAC staff worked closely with Hydra-Tech Pumps on their GSA application, ensuring that it was complete and responsive, and then helped them follow-up as needed during the protracted, two and a half year processing period. Recently awarded, the GSA contract is a major milestone and success for the company. 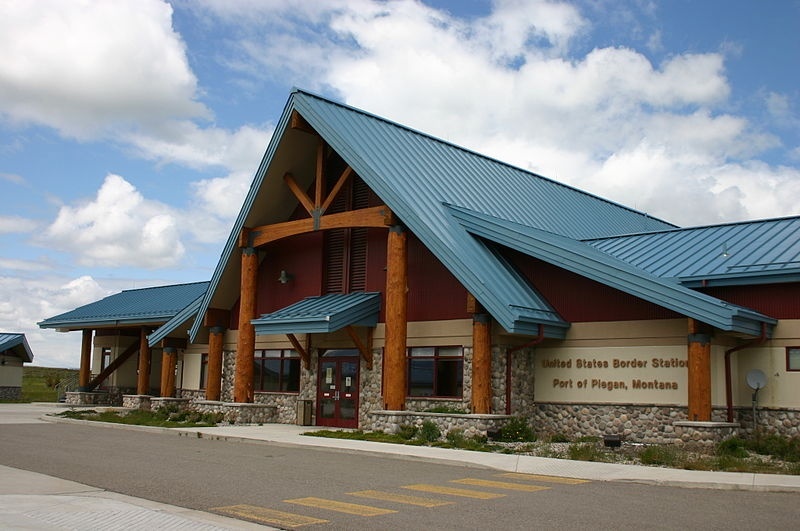 The U.S. General Services Administration (GSA) approached the Montana PTAP for assistance in facilitating and promoting an Industry Day for its Piegan Land Port of Entry Infrastructure Project, Solicitation Number: GS00P15LYC0020, posted August 12, 2015, to construct a new sewage treatment system, water delivery and treatment system, natural gas distribution system and electrical distribution system. The purpose of the Industry Day was to provide potential offeror’s the opportunity to identify local contractors and material suppliers for subcontracting possibilities for the project, estimated at $10 – $20 million. The event was held on Wednesday, September 16th in Great Falls, Montana, with Lillian Sunwall from the Great Falls PTAC on hand to support GSA. Prime contractors from Idaho, Virginia, California, Wyoming, Washington and Montana attended and met with over twenty-five potential subcontractors. GSA also hosted a pre-proposal conference and site visit the next day at the Piegan Land Port of Entry. Work through complex government documentation to become a small business, certified woman-owned business and certified HUBZone company. Obtain information on government solicitations for bids and registered with the U.S. System for Award Management. Expand to include the U.S. Department of Defense as a customer. Offering market research assistance with bid matching and networking events to meet potential government agency clients. Helping perform the research to determine if pursuing GSA schedule contracts was the right business strategy and guiding the company through the complex maze of paperwork to complete the application. Assisting them in obtaining HUBZone certification for approved companies in historically underused business zones like Indian land. GFP Group, L.L.C. is a minority owned, 8(a) certified full-service general construction company founded in 2006 by Mark Garcia on the principle, “The first thing we build is your trust”. The GFP Group has worked with various leaders in the construction and bioscience industries to establish the company as a premier commercial contractor in Texas. The firm came to the UTSA SBDC-PTAC to maximize efforts to secure government contracts, and Business Development Specialist Eloy Garcia was able to provide immediate assistance to ensure the company’s SAM registration was accurately updated and their other business certifications were properly renewed to ensure maximum opportunity with federal, state, and local government contract leads. As a result, GFP Group, L.L.C. 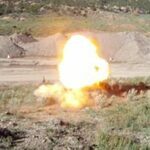 was recently awarded a $15,693,100 DOD contract, and Eloy is aggressively working to identify new government bids that the company can take additional advantage of. Take logical steps to grow the business, incorporating strategies with the federal government and identifying appropriate resources and contacts. Apply for and receive government certifications, including Small Business Administration-certified 8(a), –service-disabled veteran-owned small business, disadvantaged business enterprise and HUBZone. After a 20 year career in the U.S. Army, Don Mooney pursued his dream of creating a successful business for his grandchildren by establishing Don Mooney Enterprises (DME) dba Nurses Etc Staffing in 2000. With limited resources for startup, he worked long hours, initially bearing most of the strategic and operational functions on his own. But he faithfully networked with potential clients and partners, forming strong relationships with established companies that mentored and provided valuable financial support as he navigated through his growing years, and he was ultimately able to hire an executive with 36 years of experience in operations, training systems, training systems, information technology, logistics, and business development. The UTSA SBDC-PTAC has been a critical resource for them through the years, as Business Advisor Sherilee Smith has helped identify employment candidates to fill vacancies, mentor/protégé opportunities, and teaming opportunities through their participation in PTAC classes, networking sessions, and panels. They credit contacts made through a PTAC Supplier/Vendor Breakfast for directly resulting in the company winning its first information technology contract. In October, 2014, Nurses Etc Staffing was awarded the Southeast Multiple Award Task Order IDIQ contract for $15.4 million to perform various ancillary services that include the labor bands of Allied Health, Technologist, Technician, and Assistant labor bands at eight major military treatment facilities in the Southeastern Region of the United States and their branch locations. Planning Resources Inc. (PRI) is a Disadvantaged Business Enterprise (DBE) consultant firm based in Wheaton, Illinois that specializes in sustainable design, green infrastructure, natural resource protection and management, landscape architecture, transportation planning and community planning. Since its founding in 1981, PRI has offered an interdisciplinary approach to projects, focusing on creating and maintaining livable communities. PRI first came to the College of DuPage PTAC in April of 2012 seeking to grow their business through governmental contracting, specifically via GSA Schedules contracting. PTAC advisors provided expertise and guidance in terms of the elements required within the proposal submission, and many hours and reviews of client documents culminated in the submission of a successful proposal to the GSA. PRI has been awarded task orders from the U.S. Army Corps of Engineers and the National Guard Bureau-USPFO under their GSA Schedule contract. They are currently accessing not only the bid match service to further identify all possible governmental opportunities, but also the COD Small Business Development Center for strategic marketing insights. 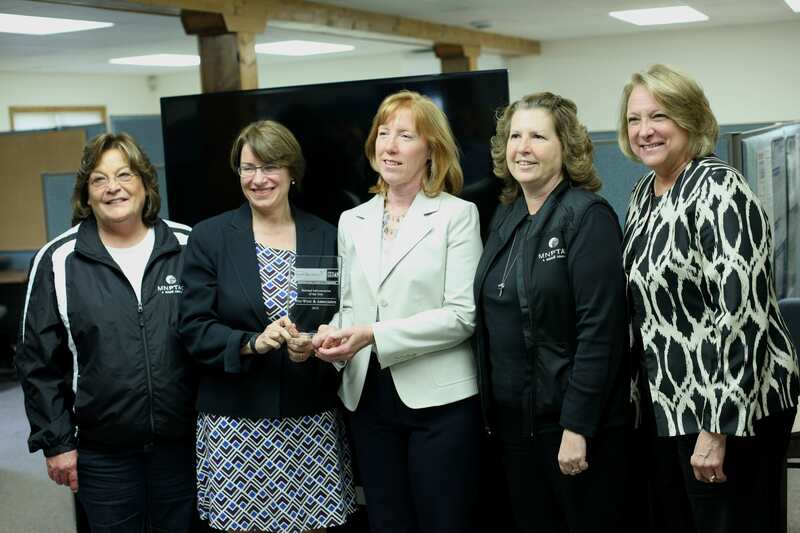 The Indiana Procurement Technical Assistance Center is celebrating the success of client Team Quality Services, a service disabled, veteran owned business (SDVOB). With PTAC support, Team Quality Services won a major Indiana Department of Labor (DOL) contract to train Hoosier businesses to create and maintain safe and healthy workplace environments that comply with Occupational Safety and Health Administration (OSHA) requirements. Employers and employees who may otherwise not be able to afford to participate in this training are eligible for scholarships through the DOL. The Indiana PTAC worked closely with Team Quality Services to identify the contract opportunity and to locate training space throughout the state. The PTAC coordinated with the Indiana Small Business Development Center (ISBDC) network to allow Team Quality Services to utilize training facilities at the various ISBDC regional centers. “Utilizing resources the State already has paid for only makes sense,” commented Chris Straw, president of Team Quality Services. Thank you Shane Springer, PTAC State Director, for sharing your team’s success! AHEAD QTR, a non-profit low-income housing provider, came to the New Hampshire PTAP with a solicitation for leasing space for a U.S. Department of Veterans Affairs (VA) community based outpatient clinic. 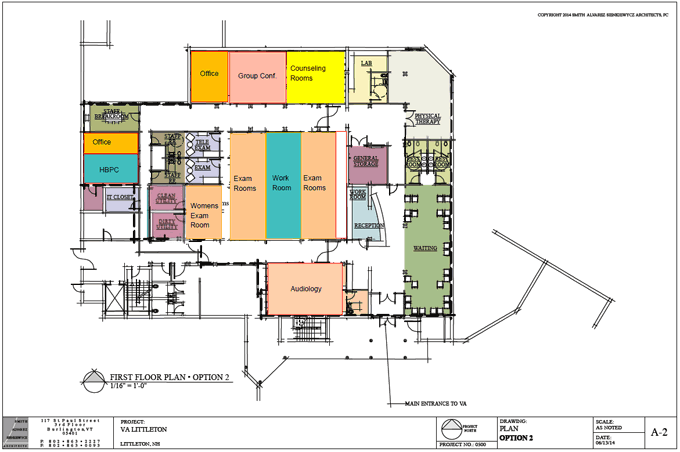 The contract required custom build-out of a 10,000 square foot clinic space and subsequent lease to the VA. PTAC specialists assisted with proposal development, from initiation to final review and eventual award. Over time, the contract will be worth ~$7,000,000. One notable NH-PTAP contribution was assistance with successful, last-minute development of a subcontracting plan, because although a very small entity, as a non-profit organization, AHEAD QTR is considered “other than small”. 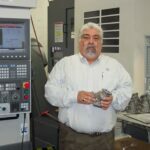 Since becoming a client of the Del Mar College PTAC in 2009, Carlos Lopez (of Carlos L. Lopez and Associates) has steadily developed his adeptness in government contracting. A service disabled veteran himself, his business centers around his background in social services, including counseling and transition assistance to veterans returning to civilian life. Del Mar College PTAC worked extensively with Mr. Lopez to lay the groundwork for him to take his services to the Department of Veterans Affairs (VA). After establishing his registrations and garnering his certification and verification as a Minority-owned and Service Disabled Veteran Owned Small Business, he quickly went to work putting together a successful proposal for a GSA Multi-Award Schedule contract. 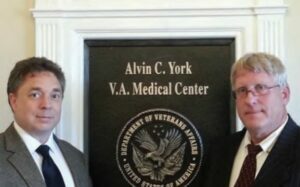 His aggressive and effective marketing garnered him a $5 million, multi-year contract with the VA, and he is on his way for option renewal of his GSA contract. In 2014, he was recognized by the Texas Governor’s Small Business Forum for his success in government contracting. Mr. Lopez attributes the Del Mar PTAC with providing him the training and assistance he needed to successfully sell his services in the government market. The PTAC considers him a success by virtue of his motivation, initiative and ultimately his capability as a government contractor. E & J Janitorial Services, a 15 year-old minority-owned business in Las Vegas, came to the Nevada PTAC in March of 2014 for help with Nevada certifications and bid-matching services. They had primarily been awarded sub-contracts on public/private projects and were now ready to pursue prime contracts directly with government agencies. PTAC Counselor Rich Lyles worked closely with owners James and Lisa Madden on their narrative and response to a Request for Proposal and bid solicitation issued by the Southern Nevada Housing Authority in June 2014, with Rich guiding them on proposal evaluation criteria, work plans for safety and OSHA compliance, and the sealed bid submittal process. E & J Janitorial Services was awarded the contract – to provide apartment cleaning and unit preparation for new tenant move-in for 11 multi-family properties in Southern Nevada – on August 21, 2014, totalling over $960,000 for the first year, with total contract duration of five years. This contract has allowed the company to retain 2 existing full-time employees and hire 1 new full-time and 8 new part-time workers. E & J Janitorial has not stopped there – they continue to work with Rich to ensure their registrations are current and to pursue federal government contracts as well. They may also pursue HUBZone certification that could provide the company with federal government sole-source contracts and price evaluation preference. BPI Plumbing is an 8(a) certified, service disabled veteran-owned small business providing plumbing services to government, commercial, and residential customers in San Diego County since 1976. They began working with the San Diego PTAC in May 2006, needing assistance with government certification and registrations, as well as locating bidding opportunities. The PTAC has worked closely with them, assisting with certifications and registrations, locating contracting opportunities, developing and implementing marketing and networking strategies, and responding to bid opportunities. As a result, BPI Plumbing was awarded a task order via a Basic Ordering Agreement (BOA) with Naval Facilities Engineering Command Southwest in the amount of $550,000 to replace plumbing fixtures and a BOA with the U.S. Coast Guard with a maximum order limit of $3,000,000. Wulfenstein Construction Company, a certified HUBZone small business located in rural Pahrump, Nevada (rural Nye County), has been in business for over 34 years, providing the highest quality construction products including sand, gravel, and asphalt as well as construction services such as site preparations, building pads, grading, and asphalt paving. They came to the Nevada PTAC two years ago for help in identifying contracting opportunities and for training on how to submit government proposals. Thanks to their use of technology platforms such as GoToWebinar, the PTAC can reach businesses throughout the State of Nevada with monthly workshops and training without requiring the time and expense of travel. Russ Lewis, Project Manager for the company, was able to participate in five PTAC webinars in 2014 and had the additional support of Procurement Specialist Linda Mitchell, who supports Pahrump-area clients with periodic site visits and in-person counseling. Work Zone Traffic Control & Maintenance: With Trisha Early’s extensive experience in the road construction industry and Cindy Hudgin’s background in office management, they decided to start their own traffic control company, Work Zone Traffic Control & Maintenance, in 2014. They had lots of questions about where to start with their business, and the Alaska PTAC was there to help. PTAC specialists provided assistance with obtaining a DUNS number, registering in SAM, creating a Statement of Qualifications and navigating the Disadvantaged Business Enterprise (DBE) application process, in addition to connecting them with Bid Match services. 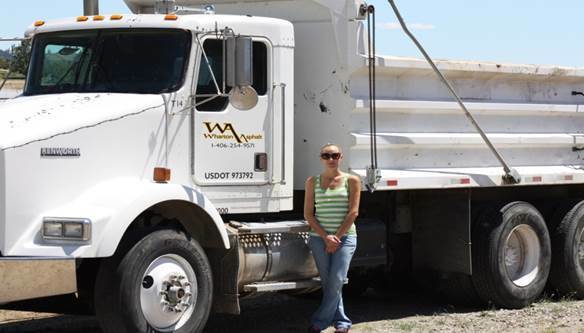 With nothing more than determination – no equipment, work trucks or money for payroll; doing the work themselves, using Trish’s pickup truck and renting signs and devices – they successfully secured and finished two Department of Transportation drilling projects in their first year. As a result, they are able to start procuring signs and devices for their business and purchase their first flatbed work truck. They look forward to growing their business in the years ahead, knowing that the PTAC will be there every step of the way. Greenleaf Services Inc. For those who serve in the military, there is no greater honor than to be buried alongside fellow soldiers in Arlington National Cemetery. 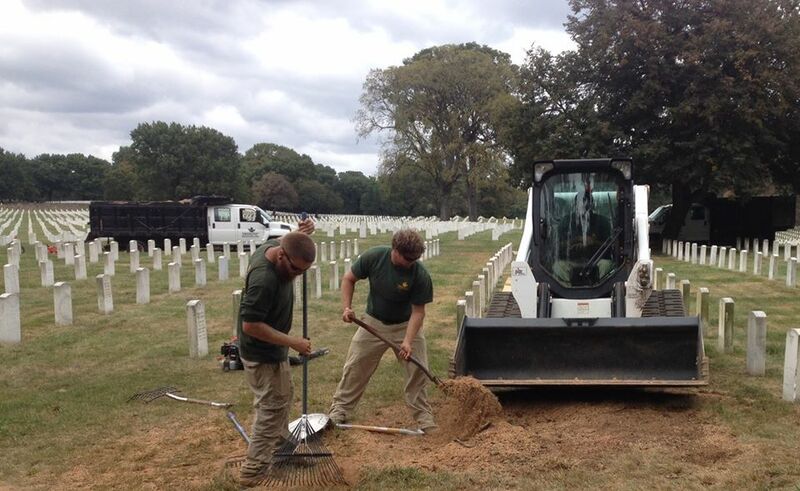 For Brad Winemiller and Greenleaf Services Inc., a service-disabled, veteran-owned small construction and landscaping business based in Delaware, there is no greater honor than tending to those sacred grounds. The journey to get to this point has been a long one, with assistance from the Delaware PTAC helping achieve the goal. Beginning in 2005, the PTAC worked closely with Greenleaf to help formulate a government marketing strategy and was pivotal in establishing connections, directing them to disabled service seminars, and helping them get past the initial red tape of government contracting. Although initially unsuccessful, Winemiller did not become discouraged, and Greenleaf’s main focus has been on government contracts since 2008. The company provides services to government grounds such as the Veterans Administration Medical Center in Wilmington, Delaware; Togus National Cemetery in Maine; Beverly National Cemetery in New Jersey; and many others. Greenleaf’s success has allowed Winemiller to hire other veterans, a hiring practice that helps boost the culture of respect differentiating Greenleaf from other businesses. 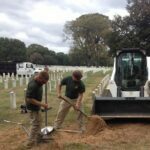 Most exciting is a recent contract awarded in September, 2014 which gave Greenleaf the authority to take care of 640 acres at Arlington National Cemetery for a base year with two option years. Most important is the ability of Greenleaf to work quietly and respectfully around the various services on the grounds. Winemiller and many of his employees’ status as veterans has allowed this part of the job to come naturally. Greenleaf still keeps regular communication with the PTAC and welcomes the advice from the team. Click here to read a Januaryy 6, 2015 article about Greenleaf that appeared in the University of Delaware Daily. 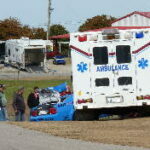 Samaritan Emergency Medical Services is a division of CLV Enterprises, a Service Disabled Veteran Small Business wholly owned by Charles and Casandra Vetters of Skiatook, Oklahoma. With the help of the Oklahoma Bid Assistance Network (OBAN) PTAC, Samaritan EMS recently received a multi-year contract to operate ambulance services -including Paramedic level emergency response and patient transport services – at Tinker Air Force Base in Oklahoma. 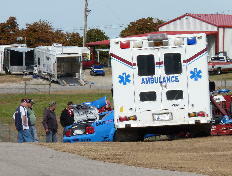 Under the contract, the company will provide two, twenty-four hour Paramedic staffed ambulances dedicated to the Base. OBAN’s Tulsa, Oklahoma office helped Samaritan EMS identify this opportunity, and OBAN Counselor Larry Findeiss provided additional assistance in reviewing the proposal format and content and ensuring that the proposal content was compliant with the Performance Work Statement. The company was initially notified that although they had submitted a competitive and compliant proposal, they were not selected as the winning bidder. But they submitted to the Contracting Officer a Size Standard protest in accordance with SBA guidelines. The protest was sustained, and Samaritan EMS notified of the contract award subject to submission/review of a Certificate of Competency. The Certificate of Competency was submitted to the SBA in the timeframe allotted, and the Contract Award was issued with an adjustment to the initial performance period. All Cleaned Up LLC is a Reno, Nevada-based women-owned small business that has been a Nevada PTAC client since February, 2014. The company has been in business for two years and provides lawn maintenance, bio-hazard clean up, and janitorial services as well as carpet and upholstery cleaning. Although they were already registered in SAM, they were seeking additional advice and resources for marketing to federal, state and local government agencies. 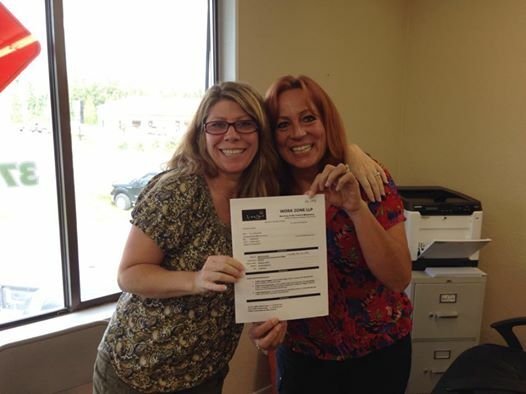 Business owner Jennifer Massey quickly signed up for PTAC’s bid-match email service (which she checks daily) and has participated in multiple PTAC workshops and webinars which have provided important information about various agencies as well as the opportunity to meet buyers and decision makers directly. All Cleaned Up LLC was recently awarded three government contracts totaling approximately $78,000, including contracts with the Reno Housing Authority to provide lawn maintenance for public housing facilities, the US Department of Agriculture to provide janitorial services for the summer season at Pinecrest Lake in central California, and the U.S. Marine Corps for carpet cleaning services. Pro-West & Associates, Inc. (PWA) is a woman-owned, HUBZone certified small business in northern Minnesota. Although viewed as a small business by larger city standards, the company of 23 staff is considered a major employer in the region. They became a PTAC client in 2005, taking advantage of PTAC sponsored seminars, bid matching, help with registrations, and one-on-one counseling to develop strategies for pursuing government opportunities. Most significant was assistance with the HUBZone certification; with this certification many doors were opened with large business. In 2013, PWA was recognized by the U.S. Small Business Administration as its 2013 Subcontractor of the Year, having been nominated for its “superior technical skills, proactive workload response, technology proficiency, cost efficacy and working relationships as a subcontractor”. Schoorl Enterprises LLC is a family owned and operated flooring, landscaping and construction small business located in Battle Mountain, Nevada. 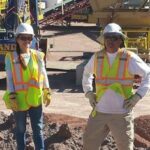 Don Schoorl and his wife Sonia started the business to provide services exclusively to government agencies following over 23 years working for a contract exploration drilling company. Procurement Specialist Steve Yates and Rural Procurement Specialist Maggie Neidigh provided the Schoorls with encouragement and advice with regards to the government contracting process, assisted them in registering their business in SAM and ensured that their profile was accurate and contract-ready. As a result, Schoorl Enterprises has been successful in obtaining contracts on their first two projects bid with the Bureau of Land Management (BLM), totaling approximately $50,000. This establishes an excellent foundation for future success in the government contracting arena, and with the Schoorl’s commitment to quality work and excellent customer service, these first two BLM projects should open the doors to new opportunities to grow their business in the government marketplace. 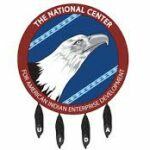 NativeVet Materiel LLC is a Native American-owned provider of products and supplies supporting facility maintenance, repair & operations, and medical needs. Owner and CEO Timothy Chavez (Pueblo of Acoma) has formed strategic alliances with powerhouse suppliers in the facilities and medical industries, With help from the NCAIED American Indian PTAC, Mr. Chavez has been able to capitalize on two major PTAC events to develop critical business relationships in this highly competitive industry. At the NCAIED Reservation Economic Summit 2013, he had the opportunity to meet Jonathan Ferguson, Small Business Specialist, US Department of Health and Human Services, who invited him to participate in a special presentation and meeting with Indian Health Service agency directors in Washington, DC. 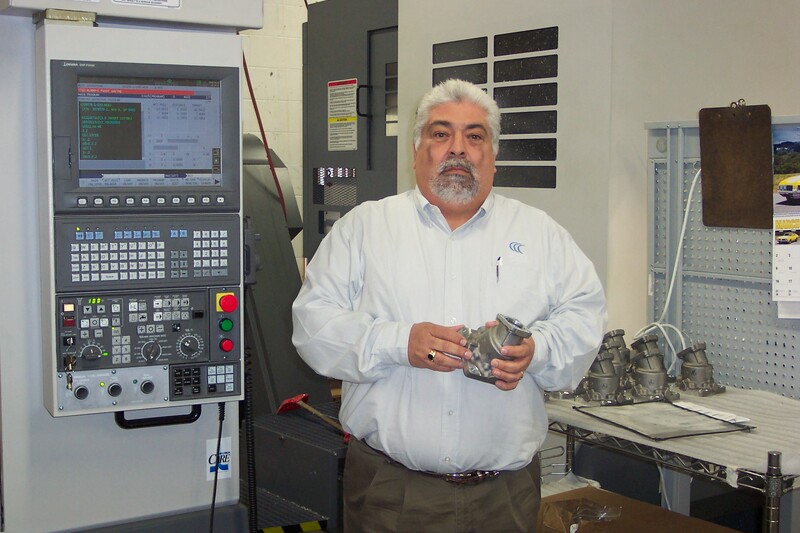 “This opportunity with IHS opened the networking floodgates and helped me understand, at a very high level, what IHS needs from its suppliers,” Mr. Chavez stated. A few weeks later, at NCAIED’s 3rd Annual Navajo Nation Business Opportunity Day in Window Rock, Arizona, PTAC staff facilitated his introduction the Navajo Nation Housing Authority and the Indian Health Service in Gallup, NM. “This event fostered relationship development with potential buyers…(affording) me the opportunity to introduce my new business … (and) explain the value and benefits in working with NativeVet,” Mr. Chavez said. These experiences are beginning to pay off. In July, 2013 NativeVet Material was awarded a $200,000 contract for wood stoves and accessories with the Navajo Nation, and in November, 2014 the company received $40,004 contract with Indian Health Service for alcohol free hand sanitizer and other supplies. Both of these contracts were a direct result of the meetings made at the 3rd Annual Navajo Nation Business Opportunity Day. 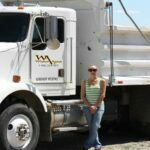 Wharton Asphalt, LLC, owned by Lena Wharton, is a paving and maintenance company that specializes in crack sealing, seal coating & chip sealing for residential and small commercial projects. The Billings, Montana PTAC worked extensively with the company to obtain 8(a) certification through the U.S. Small Business Administration (SBA). Being 8(a) certified will provide the company with additional opportunities to obtain federal projects. 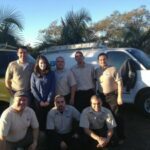 Lena said “The PTAC was instrumental in helping us becoming certified as an 8(a) company. … They reviewed our application package and answered a lot of questions which made the process so much easier.” After becoming certified, Lena followed PTAC advice and deliberately reached out to federal agencies to market her company and its capabilities. It paid off. In May of 2014, Wharton Asphalt received its first 8(a) contract valued at $1.2 million. 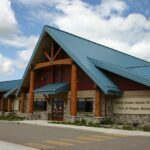 The project is for the Bureau of Indian Affairs and is located in North Dakota. 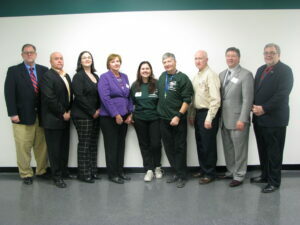 Lake Region Micro Electronics Corporation, a small Woman Business Enterprise (WBE) certified with the Commonwealth of Pennsylvania, was formed by Allison “Allie” Mancino, President and CEO, in 2012. Ms. Mancino got her start in government contracting at the Northeastern Pennsylvania Alliance PTAC’s annual Government Contracting Showcase in Scranton, PA. Lake Region Micro was introduced to several Small Business Specialists and participated in the many informative workshops. Shortly thereafter, the company began receiving contract awards from various DOD agencies and prime contractors. 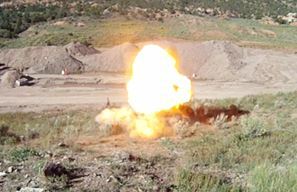 The company has been awarded approximately $62,000 in government contracts from the Department of the Army and the Defense Logistics Agency (Aviation) for items such as: electronic connector manufacturing, computer storage device manufacturing, and electronic connector manufacturing. The company continues to grow its government sales with additional awards totaling close to one million dollars. The NEPA Alliance PTAC is very proud to be a part of this company’s success. BrightFields, Inc. embodies the notion that success is an ongoing proposition. This woman-owned environmental consulting and remediation services firm headquartered in Wilmington, Delaware was founded in 2003, and by 2008, co-owners Marian Young and Mark Lannan were honored by the U.S. Small Business Administration as Delaware 2008 Small Business Persons of the Year. But then the recession hit. Young and Lannan doubled down their efforts to broaden their client base and service areas. Clients of the Delaware PTAC since 2006, they attended a variety of PTAC trainings and required all of their administrative staff to complete the “Responding to Federal Proposals” training. Working with PTAC Program Manager Juanita Beauford, they submitted and were awarded a GSA Schedule 899 contract, under which they have received numerous awards, and with PTAC help, they successfully pursued $2.4 million in State contracts. Ms. Beauford also connected BrightFields with the PTAC’s host organization, the University of Delaware, with which it is currently in negotiations for environmental work on an old Chrysler facility which the University recently acquired. In recognition of this tremendous success, Marian Young and Mark Lannan were recently selected by the SBA as the Delaware 2014 Small Business Persons of the Year! Greenway Solutions, Inc., a Minority, Economically Disadvantaged Woman Owned Small Business, provides accountability for government purchases, project management support, and complete warehousing and logistic services. They came to the Northeast Pennsylvania (NEPA) Alliance PTAC in July of 2011 to take advantage of the PTAC’s Bidmatch services and for help with GSA Schedules, but they got so much more! In the two years since then, NEPA Alliance PTAC has assisted Greenway with their SAM and Pennsylvania Supplier Portal registrations, supported them through the state WBE and MBE verification processes, fine-tuned Bidmatch keywords, and reviewed NAICS codes to identify productive updates. Whenever potential bid opportunities arose, the PTAC supported research and helped get questions answered. Their efforts paid off when, in October 2013, Greenway Solutions was awarded a contract by the U.S. Department of Veterans Affairs Medical Center, Wilkes-Barre, to provide storage of Medical Center furniture in Greenway’s 100,000 square foot warehouse, as well as the labor to pick-up, store, and distribute the furniture as directed by the Medical Center. Heeter Construction, Inc. (HCI), a small HUBZone business based in Spencer, West Virginia, went to the Regional Contracting Assistance Center (RCAC) PTAC for help in identifying appropriate solicitation leads. One such lead was the Bluestone Dam Safety Assurance, Phase 4, in Hinton, West Virginia, job which involves installing 278 high capacity multi-strand rock anchors – ranging from 5 to 61 strand – to upgrade the stability of the existing dam. HCI bid this job in free and open competition and – with the help of the PTAC – was successful in its bid. The job is projected to last 6 years at a total cost of around $95 million. Daron B. Horne, Sr., established a concrete construction and repair firm in 1996. He contacted Laura Subel, a Procurement Specialist with the Florida Procurement Technical Assistance Program (PTAC) in 2004 for guidance in pursuing contracting opportunities with the government, and was advised on registration requirements, certifications, locating opportunities and developing a marketing strategy. He did not immediately pursue government opportunities, but he did keep in touch. After retiring from the U.S. Army, Ron Saxton founded SAWTST in 2006. Named to the Inc. Magazine 2013 list of the nation’s fastest-growing private companies, the Peachtree City, Georgia firm provides a variety of information technology and logistics services primarily to the armed services. Saxton credits the Georgia Tech Procurement Assistance Center (GTPAC) with helping the company increase revenues 486% from 2009 to 2012. With all of its business coming from government contracts, the company has looked to GTPAC for advice and to keep up-to-date with ever-changing contracting regulations. GTPAC also helped SAWTST establish a relationship with Home Depot through the Georgia Mentor Protégé Connection program to develop a strategy for entering the commercial market. Vermont PTAC counselor Babette Lizotte received a call from a Service Disabled Veteran Owned business that had been successful in doing business with the National Guard, but – in order to be compliant with the contract – was required to submit its contracts on the US Army Manpower Reporting website. The PTAC’s Program Manager, Robin Miller was able to provide the training to Babette, and she was successful in assisting the client in completing the requirements, which led to another successful contract for $64,000. Vermont PTAC counselor Brenda Plastridge researched and discovered a state contracting opportunity for Subaru vehicles – a requirement not suited for their typical client. She printed out the solicitation and brought it to a local company, St. Johnsbury Auto, and asked to talk with the sales manager to discuss the opportunity. Brenda walked him through the bid package, the company submitted a proposal, and they were awarded the contract for $22,886. Since that time, the company has won more than $220,000 in contracts with counseling from PTAC. ECR has performed work or provided service as a prime contractor to Little Rock Air Force base, the U.S. Corps of Engineers Memphis District and the FedEx Forum among others. ECR is positioned to be the go-to contractor for federal facilities to achieve energy efficiency goals as required by Executive Order 13514 and Energy Independence and Security Act (EISA) of 2007. John Garske started Vocational Rehabilitation Specialists to help veterans with employment services. Working with the Monterey Bay PTAC, he was successful in being awarded $200,000 from the Department of Labor to assist homeless veterans. The award allowed him to increase his staff from 4 to 6 employees and provide much needed services to nearly 100 area veterans. Ellen Yarckin, Morris and Associates CEO, came to the PTAC at the University of Central Florida for government contracting and certification assistance. Yarckin had built a thriving specialty utility construction company and was an ideal candidate for doing government contract work but was having a difficult time securing the necessary certifications. Procurement Specialist Derek Hudson met with Yarckin and assisted her in developing a strategy that would help guarantee certification. Since Yarckin had previously been denied certification, Hudson assisted her in the appeals process. Yarckin walked in prepared, polished, and with confidence, and gained unanimous board approval. 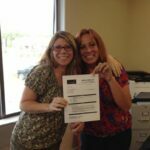 Morris and Associates is now a certified Woman-Owned Small Business with several municipal governments as well as a certified Disadvantaged Business Enterprise (DBE) with the State of Florida. The Illinois PTAC at College of DuPage is a highly specialized and hands-on resource to tackle the overwhelming and intimidating sector of government contracting! Highly trained advisors, who bring many years of technical expertise, backing up the practical with professional understanding of the governmental contracting processes, have worked side by side with me for many hours. I have been able to maximize not only my presence in this space but growth opportunities from the awards my company has received due to their assistance. … Advisors have helped in assisting from the most basic registrations to the most complex proposal for a solicitation. As an 8(a), SDVOSB & HUBZone certified contractor their guidance and insight was a key factor in practically utilizing all certifications in the federal contracting space. This resource is invaluable and really added value and clarity to our business. A strong recommendation!